With the Friendly confines of Wrigley Field at 100 years old, a fair number of Cubs fan pundits, George Will recently included, assert a connection between the Friendly Confines and a frequently hapless team. With Wrigley Field nearly always full regardless of the team’s fortunes or even the weather, there is little incentive for management to put a competitive team on the field. If that is true…and the argument could certainly be made…then it’s a testament not to an often mismanaged ballclub but to the sublime beauty of a classic ballpark. There aren’t many cities where fans will still fill a ballpark after even a few consecutive last place finishes. And maybe the theory could be turned around. 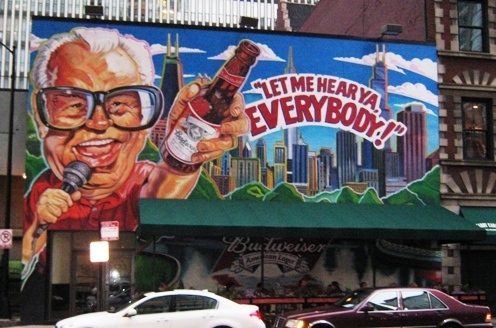 Maybe Wrigley is at least partially popular because the Cubs are so bad so often. If you ask me the three most noteworthy happenings at Wrigley, I would come back with: Babe Ruth’s “called shot” (it didn’t really happen, but it’s memorable), the ejection of the Billy Goat, and the Steve Bartman incident. In all three cases the misfortune went against the home team. Then there’s my own most memorable game there…in June of 2003. Mark Prior pitched a masterpiece for eight innings, striking out 16 Brewers, including whiffing the side in the seventh and eighth. Manager Dusty Baker…who would later that season be blasted by the Chicago media for leaving a rattled Prior in the Bartman game…pulled his young star for the ninth and brought in closer Tom Borowski, who gave up a walk, a single, and a three run homer to the first three batters he faced. The demoralized Cubs went down 1-2-3 in the bottom and lost 5-3. So yes, I’ve witnessed some Cubs heartbreak myself. Add a championship drought that is now at 108 years and counting, and there probably is a bit of a romance in the Wrigleyville futility. Go Cubs written in mustard? Why didn’t I think of that? 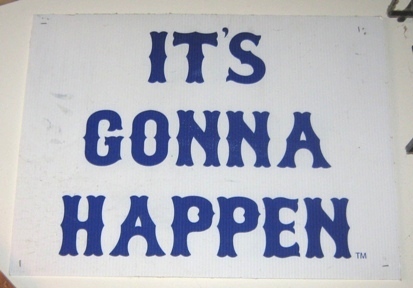 This is not lost on the Cubs, of course. In the midst of planning for the modernization of this ancient ballpark, the team management…surely well aware that this team could be headed for another 100-loss season…have made 2014 the year of Celebrating Wrigley Field. 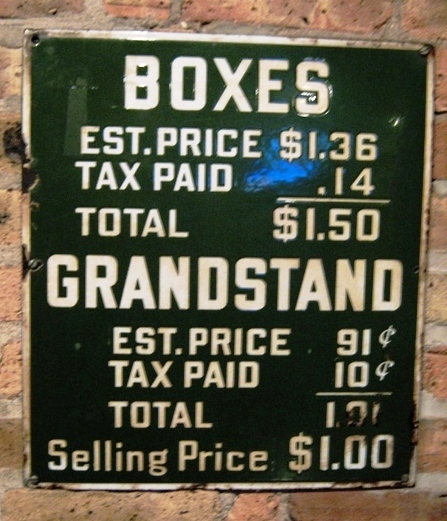 Part of the celebration is discounted pricing for tickets – the Cubs are actually offering tickets at the low (for Wrigley) price of $19.14 (for the year Wrigley opened); the seats are in the upper outfield corner and there are still lots of tickets available. My buddy Floyd Sullivan, author of “Waiting for the Cubs”, tells me he could even get Opening Day tickets. Don’t forget that back then $10,000 a year was considered rich. 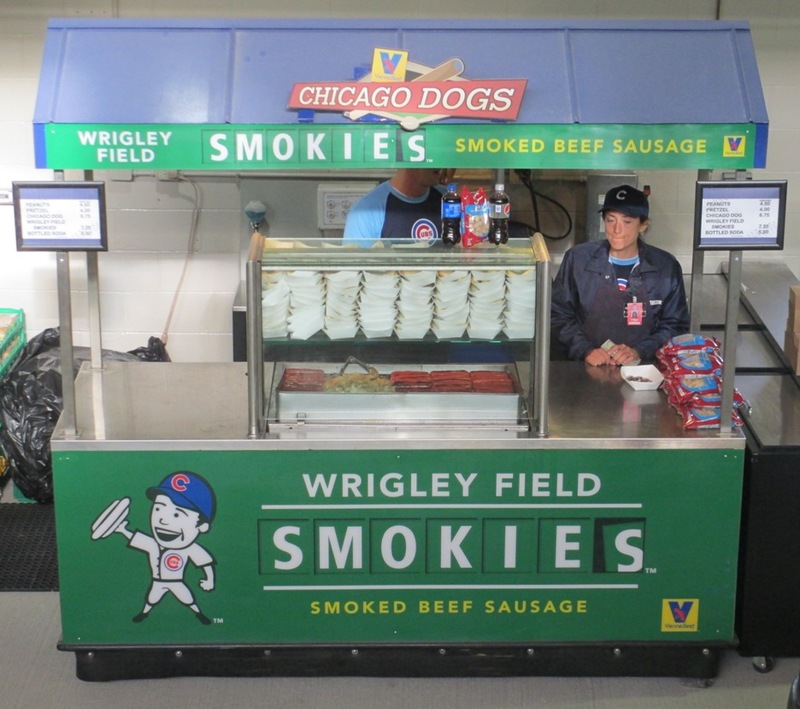 The Cubs also added some specialized food items for each decade of Wrigley’s existence; out on the concourses they’re peddling a Reuben Dog for the 1910s, a TV Dinner Dog for the 1950s, and a Bagel Dog for the 1990s. In the suites patrons can order 1960s Wedge Salad or 1980s Cajun Wings, and there are ten unusual drinks to go with them…like the 1920s Gin Whiskey and the 1930s Called Shot. Yes, the Cubs celebrate a Yankee home run. And there’s the Wrigley Field replica cake, put together by “Cake Boss” Buddy Valastro…a beautiful piece of work that was later found dumped in the trash, hardly eaten. All this, of course, directs attention away from that heartbreaking statistic…that the Cubs have never won a World Series at Wrigley Field, their last Series win coming in 1908 at West Side Park. Obviously, no one remembers—and few fans today could even conceive—what a powerhouse the Cubs really were back then. But the atmosphere of an entire block of fans sitting in the stands, bleachers, taverns, and on nearby rooftops celebrating a ballgame, and Chicago dogs with onions, relish, pickle spears and sport peppers can keep people coming back to see a nearly perennially inept team. These people are baseball fans, through and through. 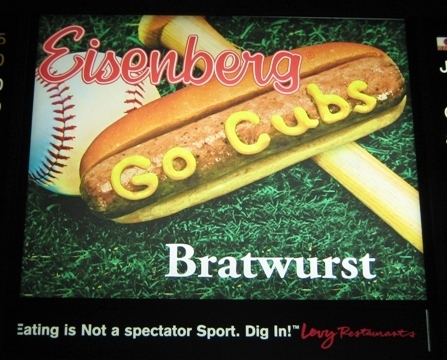 For a century now, visitors to Wrigley Field have had no problem understanding it.